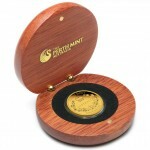 Mintage of Gold Proof Sovereign is extremely lmiited at only 1,500. They are available now for purchase directly from the Perth Mint for AUS $ 613.63. "The Sydney Mint produced its first Type 1 sovereign, featuring a unique 'colonial' design, on 23 June (1855)," offers the Perth Mint in a press release. "There ensued an unbroken 76-year history of gold sovereign production in Australia." This tradition of sovereign production continues today with collector grade issues such as this newest release. Each 2014 proof sovereign features a modern tribute to those first colonial issues on their reverse. Shown is St Edward's crown, a laurel wreath and the inscription AUSTRALIA - all historic elements taken from Leonard Charles Wyon's original Type I reverse. 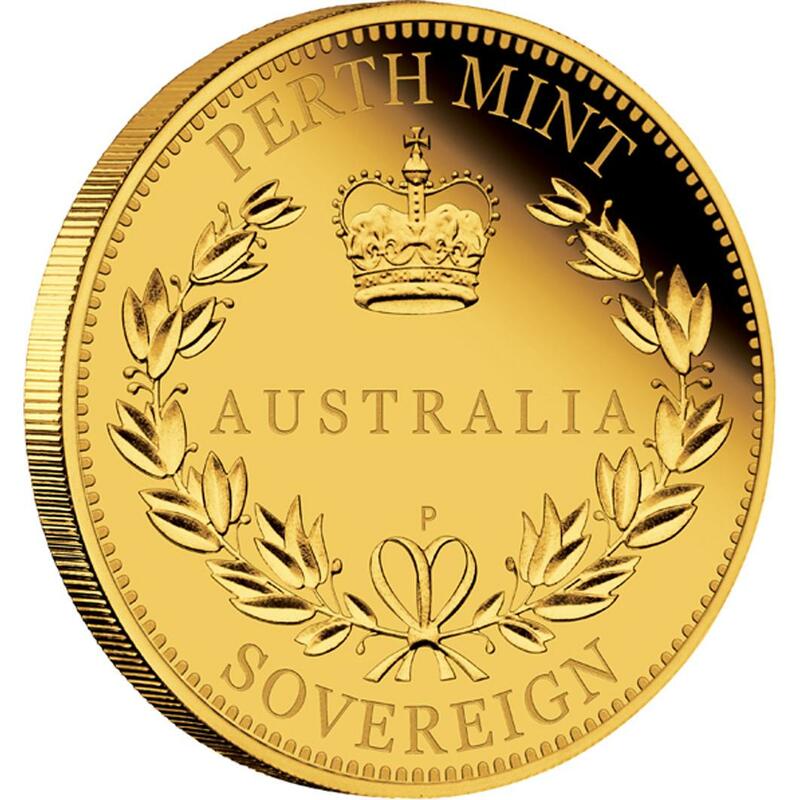 Additional inscriptions include PERTH MINT, SOVEREIGN and the Perth's 'P' mintmark. Queen Elizabeth II is shown on the obverse with a portrait by Ian Rank-Broadley. Inscriptions surrounding the effigy include ELIZABETH II, AUSTRALIA, 2014 and the legal tender face value of 25 DOLLARS. Each coin is housed in a wooden display case and ships with an illustrated shipper and a numbered Certificate of Authenticity. As mentioned, mintage is limited to only 1,500 with current pricing of AUS $ 613.63. Pricing may change based on market conditions.